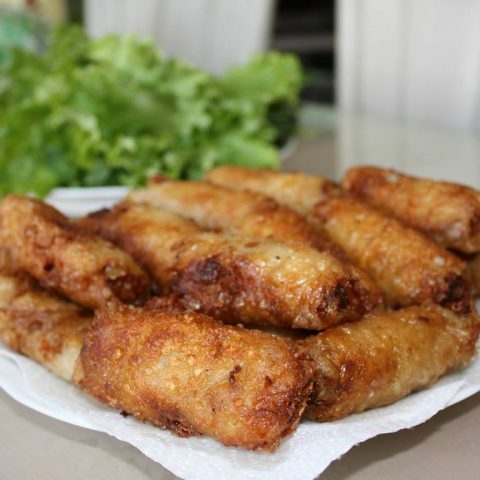 Banh xeo is a popular cake in Vietnam with rice-wheat flour outside; shrimp, meat, bean sprouts and mushroom inside. Rice-wheat wrapper is fried until get gold color, the shape might be round or semicircle. 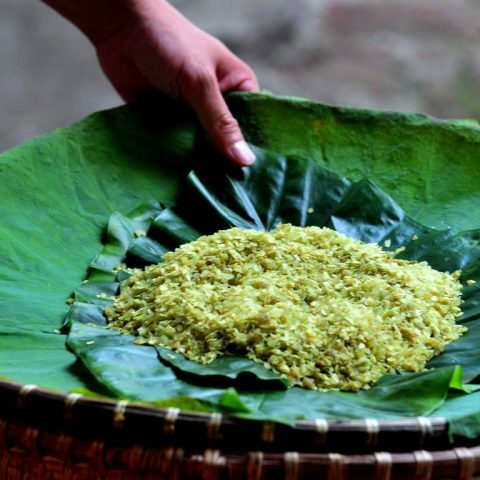 Depending on each locality in Vietnam, there are some different way to enjoy banh xeo. Banh xeo or sizzling cake named for the loud sizzling sound it makes when the rice batter is poured into the hot oil. 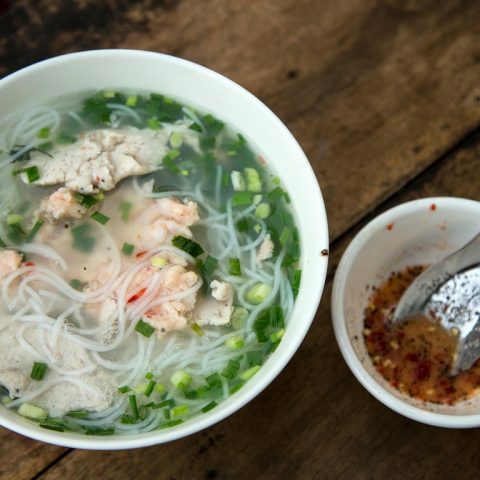 While pho, banh mi and now, occasionally, bun cha hog the spotlight in Vietnamese cuisine, everyone in Vietnam is familiar, to some degree, with bánh xèo. On street corners and in tiny, modest “quan”, the thin, savory rice flour pancake has earned its place among the pantheon of roadside Vietnamese fare. But as any upstanding street food diner will tell you, its dozens of variations mean that true appreciation of banh xeo goes beyond the consumption of a single regional style. Though it’s unclear when these tasty pancakes first came into existence, most agree that the original banh xeo hailed from central Vietnam. 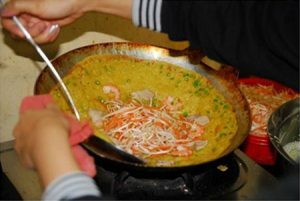 During the Tay Son era, the crepes were so popular that locals would switch up their usual rice diet on the second and 16th day of the lunar month, opting for banh xeo in place of their typical meal. Some believe today’s savory pancakes are a direct descendant of Hue’s banh khoai, a crispier pancake still eaten in the former imperial capital, or that the recipe was perhaps borrowed centuries ago from Cham culture, while some have even speculated that the dish is inspired by South Indian cuisine all the way back in the first millennia. 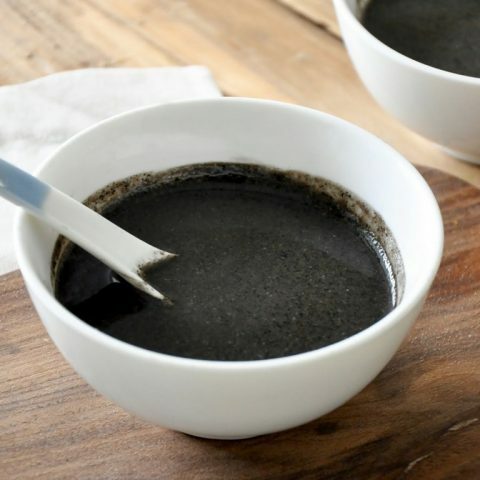 Whatever the origin, central Vietnam’s original pancake has begot countless variations. 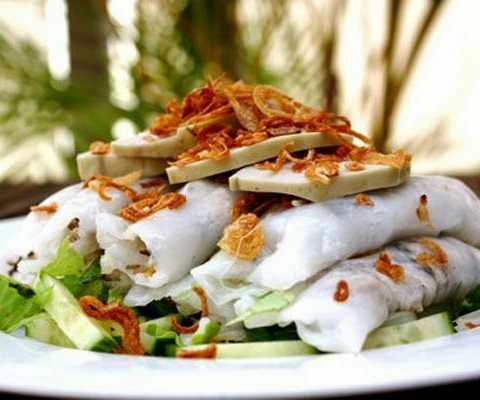 In Binh Dinh, Quang Ngai and Quang Nam provinces, locals wrap their medium-sized banh xeo in rice paper, while further south in Khanh Hoa, Ninh Thuan and Binh Thuan, cooks trade pork and bean sprouts for seafood and a particularly delicious combination of fish sauce, chilis and peanut sauce. These smaller crepes are sometimes wrapped in fresh greens or not wrapped at all. 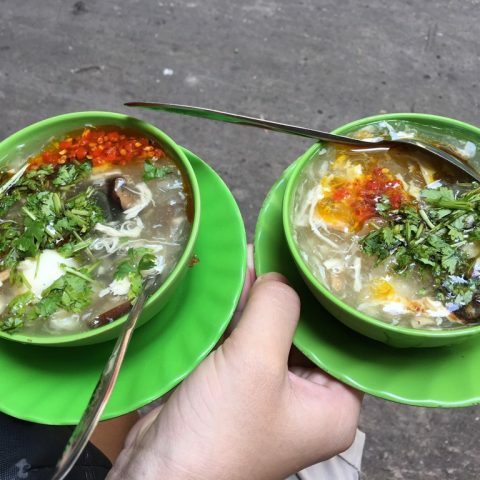 Its popularity in the southern hub, however, is a more recent development: VnEconomy suggests the dish wasn’t all that common in Saigon during the 1960s or ‘70s, but in the 1980s, as more workers came to the city, some of them from central Vietnam, bánh xèo began to gain in popularity thanks to its portability. 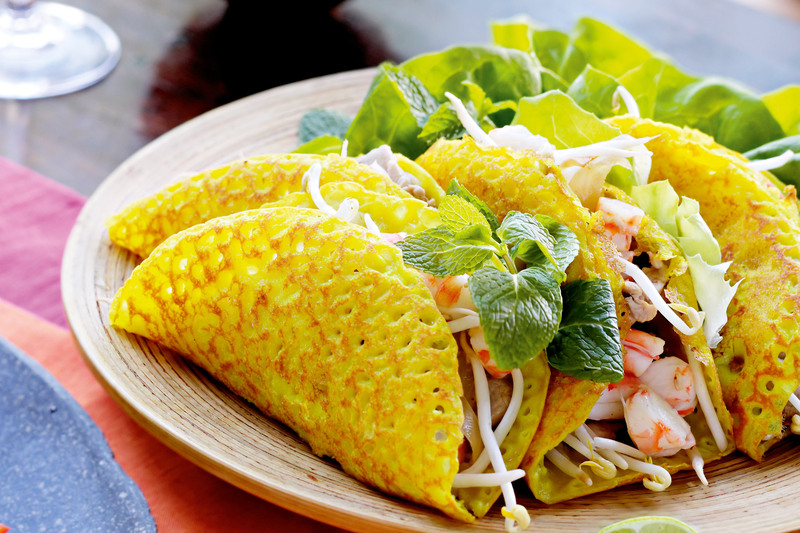 Back in the day, banh xeo made an especially tasty and convenient meal for farmers, who would wrap the crepes in banana leaves and bring them along to the rice fields.